Recentry I called japanese insurance company but they couldnt understand my japanese. I was so disapointed myself. Today i would like to share about diffrences culture japan to overseas. Japanese people has a problem which is they dont want to say "NO". Because usually Japanese people keep maiking harmony at group. Even if they have oppinion but they dont want to tell that. To be honest, they want to say no but they usually say yes. I guess Japanese people afraid of dislike from the people. But i think we have to show our idea to the people. we also have atmosfare so we can understand without converstation. Because during talking we pay attention to their face so if someone to frown the face we usually change next story. Its mean if someone frown the face so its mean they dont want to talk that topic. If japanese cheange story actually they dont like the story. But they dont tell directory or straight. 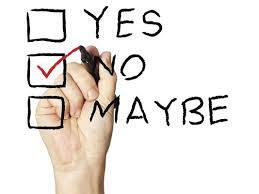 I think here in the oversease if someone say "NO" dont change relationship so dont afraid of saying "NO". And also you should explain your oppinion by yourself. People cant understand without talking in the oversease so you shold better tell idea so minutely. The way which understand with each other is just converstation. Please dont afraid of showing your emotion and idea in the oversease. If you have something to say you have to tell in english. I wrriten about one of the culture of Japanes but it is really depend on the person.